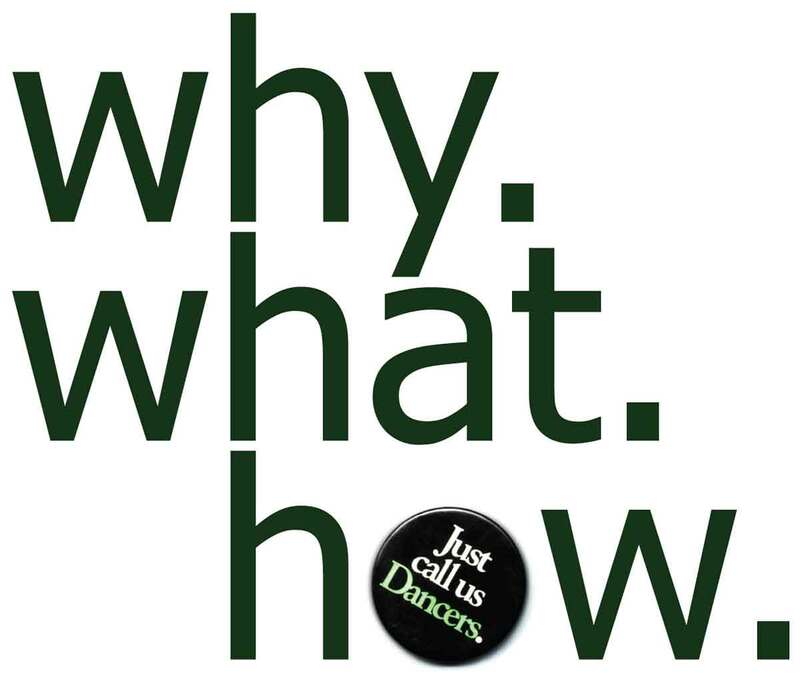 The Secret: What do dancers know? Neuroscientists, philosophers, and also dance academics of all sorts have been trying to figure out what it is: what do dancers know that other people can't grasp? Unless they've been through the mill of arduous training and rehearsing, they have no way of knowing it. Call it embodied knowledge, somatic intelligence and so forth, it is rarely articulated by dancers, so there's little understanding of it outside the dancer's circle. It is a secret. A secret not by intention but by virtue of its nonverbal nature. Why does dance matter in the 21st Century? 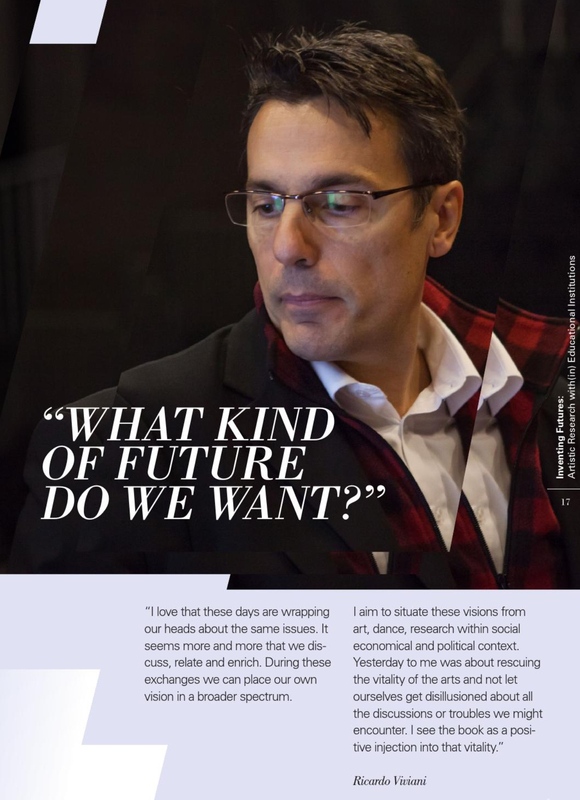 An approach to sustainable economy, skills transfer from the tacit knowledge of dancers to creativity strategies. 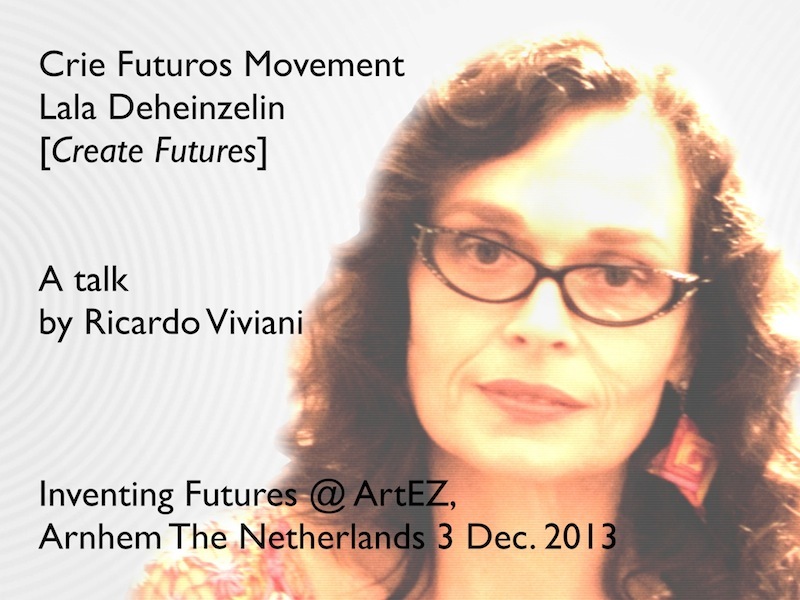 Format: Lecture "Crie Futuros Movement"
Brazilian Choreographer Lala Deheinzelin made a career switch to creative economist, futurologist, political consultant and activist by redefining the concept of creative economy. Her concepts have, at first glance, a definitely non-european angle, and she has worked together with South-America, African and Asian government institutions. In her book ‘Desirable New World’ she outlines the concept of an economy based on, surprisingly radical, views of incorporating intangible values of cultural heritage, creativity and well being, into a sustainable and attainable economy. It is radical because it is as revolutionary as it is readily available. In this talk, Frankfurt a.M. based choreographer and researcher Ricardo Viviani exposes the basic concepts of this book and indicates possible strategies of its implementation within an european context, supported by his artistic, theoretical and pedagogical practice. A theoretical primer on how to talk about dance. It analyses three different levels of cultural understanding. Format: Workshop, Current research paper. Dance means different things for different people. 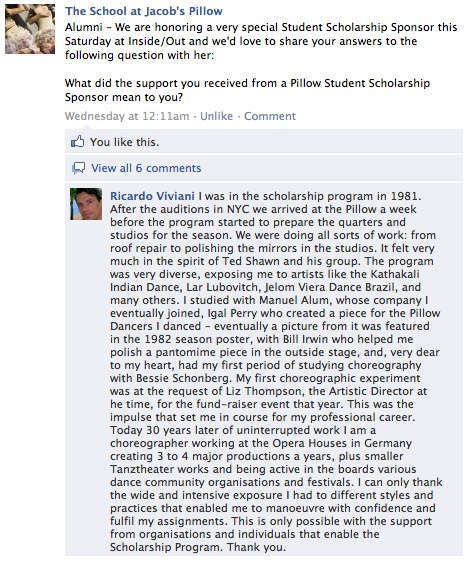 Because of this, there are many different ways to talk about dance. Even if we focus as dance in the context of performing arts, there is still a multitude of ways to verbalize it. 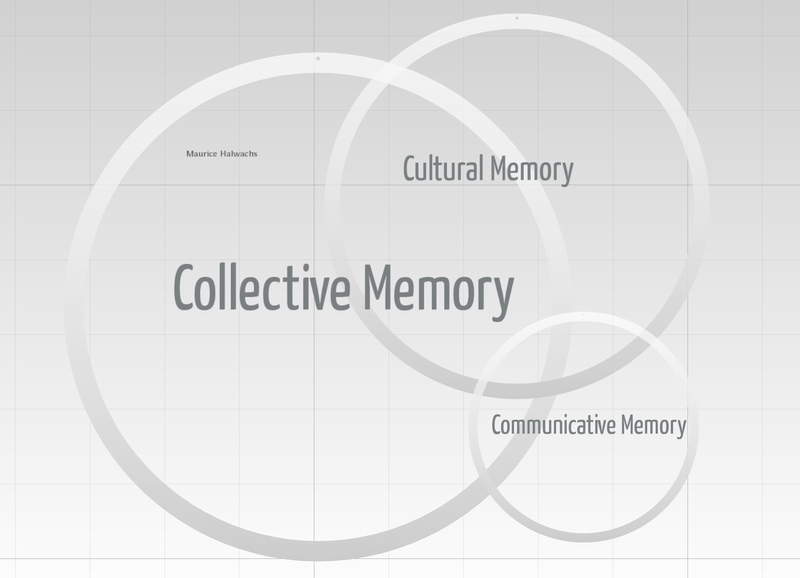 Looking at the concept of collective memory (Halbwachs), and intoducing to the discussions the concepts of cultural memory (Assmann), and communicative memory (Ochs) one can detect a stretching of the concept of communicative memory reaching only as far back as three generations in the tradition of theatrical dance. Western culture theatrical dance is a craft that has been passed from one person to the other (Ann Reinking) for about 400 years. One reason of this necessity is that the skills necessary for dancing are on a tacit level (Polanyi) and not being transfered on a literary level. It can survive - with notable exceptions - if this chain is not broken. The underlying logic of this transfer of knowledge follows the mnemonics paths akin to early orality (Walter Ong) and are not intrinsically verbal but move in the realm of interactions and embodied conscience (Alva Noë). In this workshop the underlying typology of dance verbalizations is exposed and exercised. This helps in many levels: for a dancer to explain his intentions, for the choreographer to transfer his concepts and strategies and for the dance appreciation to expand to objectify its observations. An ontological and ontogenetical systematisation of the process of creation. Improvisation, composition and choreography are three elements that are present in different quantities in the conceptualization, creation and execution of all dance. The mechanics and strategies of all three elements are described in many sources. Compositional elements are very similar in many art forms: the study of paintings, music and poetry is very valuable to a dance maker as he develops his syntax. The act of choreography is supported by the vocabulary transmited in dance training: the mechanics of contact-improvisation, the training of ballet, modern and contemporary dance, and all the somatic organisation practices. In improvisation there are various strategies and operations for facilitating the flow of the improvised act. 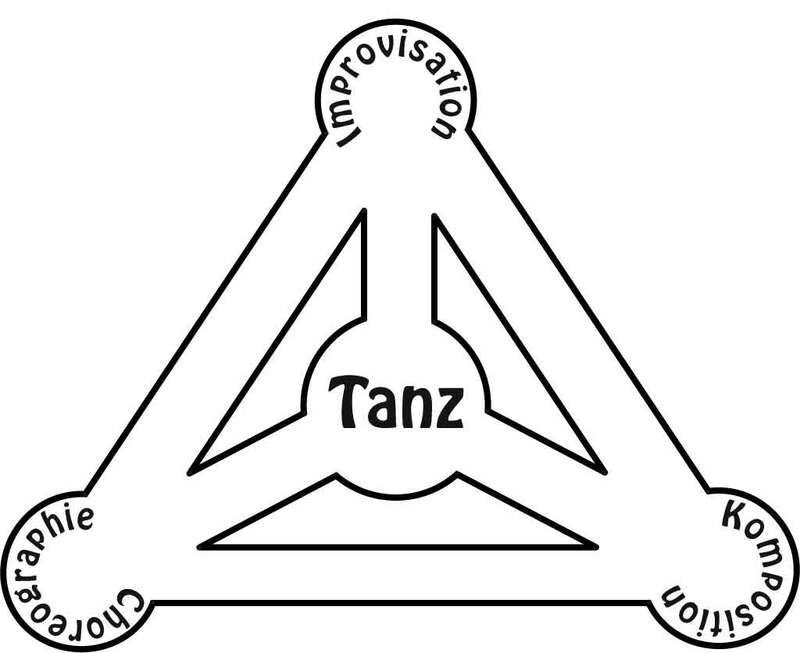 Tanz(dance): cultural technology (Kulturtechnik) for the transmission of ideas and states through body movement through time. Improvisation: exploration through manifestation of the cultural technique of mind states and sensibilities. 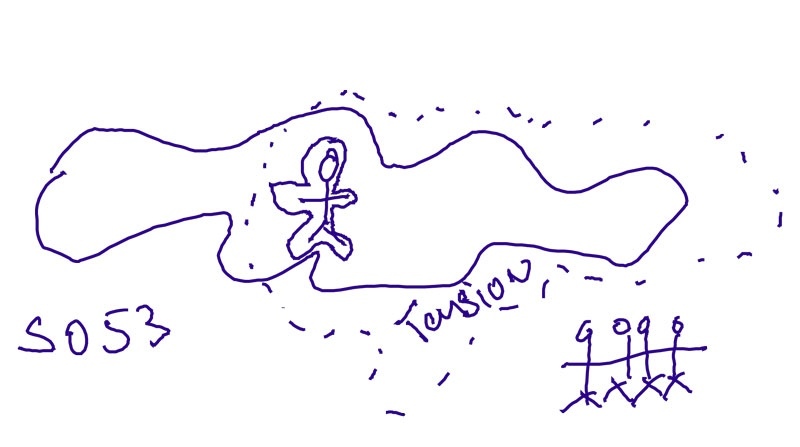 Komposition(composition): arrangement of ideas and concepts in a dramaturgical and systematic order. Choreographie(choreography): set of instructions for the manifestation through cultural techniques of composition by one or more dancers. But what is being manifested in an improvisation? What is the source of this creative moment? Which brigdes are being built during this process? This is one important aspect of Rolf Gelewski's work as he detached himself from the academic world and devoted his full attention to the manifestation of the ideals set forth by Sri Aurobindo with impulses from Mira Alfassa. The elusive nature of creativity was best captured by procedures that also evaded positivistic approaches. 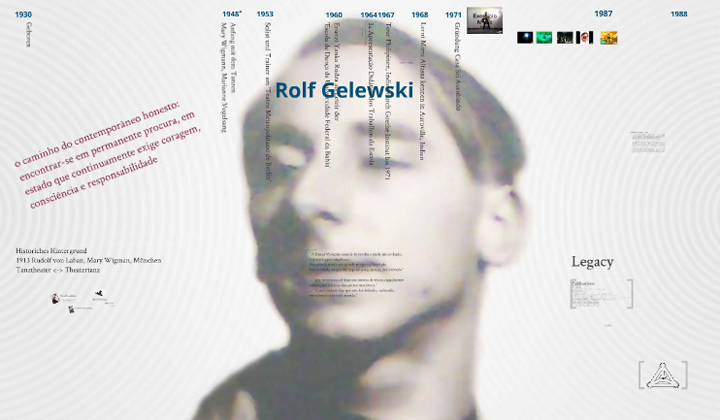 Rolf Gelewski developed a system to access these impulses through a series of exercises. This research aims to update his method to our current dance knowledge. The course is structured to explore the influence of dance vocabularies, approaches to improvisation and deepen in the methodology of Gelewski to achieve a spontaneus dance within the integral yoga concept of Sri Aurobindo.